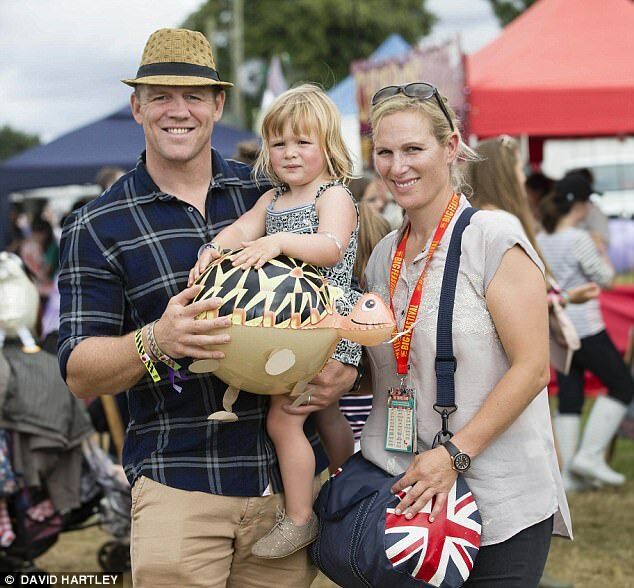 Zara and Mike Tindall are expecting their second child, a spokesperson for the couple announced today. Zara's grandmother the Queen and other members of the royal family are said to be 'very pleased to hear the news'. The couple, who are currently on holiday in Australia with three-year-old daughter Mia Grace, previously announced they were expecting a baby in November 2016 but suffered a miscarriage just weeks later. Their second child, believed to be due this summer, will be the Queen's seventh great-grandchild and the fourth grandchild of Zara's mother, Princess Anne. If the baby is born after the Duke and Duchess of Cambridge's third child, who is expected in April, it will be the Queen's seventh great grandchild. 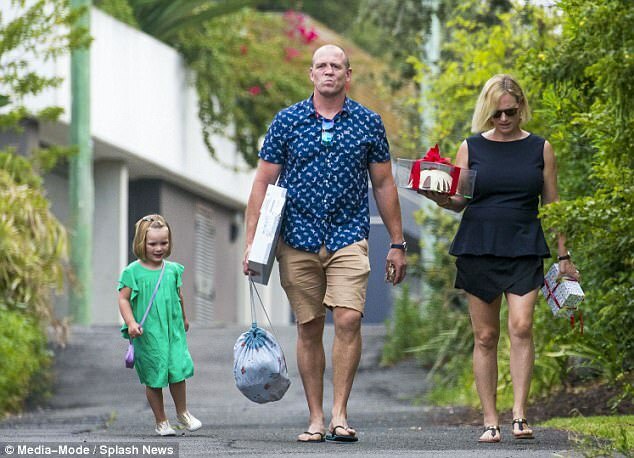 Equestrian champion Zara, daughter of Princess Anne and her first husband Captain Mark Phillips, and former England rugby captain Mike, 39, spent the festive season in Australia, where they are enjoying a working holiday. The couple, who tied the knot in 2011, swapped a traditional royal Christmas at Sandringham for some winter sun and have looked relaxed as they enjoyed casual lunches and days out with friends.They are believed to have flown out in early December and it is not known when they will return to their Gloucestershire home. While Zara's exact due date has not been announced, it is likely she is at least 12 weeks pregnant as they have decided to make the news public. Recent images of Zara show her wearing floaty tunic-style tops that skim over her midriff. The couple were most recently seen on New Year's Eve, when they stepped out for a relaxed lunch with friends in Double Bay, Sydney. Zara wore a navy blue kaftan-style top, dark blue shorts and flip-flops while Mike dressed down in a tank top and swimming shorts. The couple's winter getaway came a year after they announced, via a spokesperson, that Zara had tragically suffered a miscarriage. Rugby star Mike later opened up on the pain of losing their child, who was due to be born late spring 2017. Other than finding solace in knowing they were not alone in the situation Mike said that their daughter Mia, who celebrates her fourth birthday on January 17, had been a great comfort. The couple tied the knot in July 2011 in Edinburgh during a 45-minute ceremony at Canongate Kirk, Edinburgh, followed by a lavish reception at Holyrood House. The couple lost their unborn baby just weeks after revealing they were expecting their second child in 2016. A royal spokeswoman made the announcement on Christmas Eve. Speaking about the tragedy last year, Mr Tindall described has described his daughter Mia as a 'saving grace' at the very difficult time. In January 2014, Zara gave birth to the couple's first child, Mia Grace Tindall, who weighed 7lb 12oz, at Gloucestershire Royal Hospital. Perhaps typical of her no-nonsense approach to Royal life, the new mother was back at her home enjoying a cup of tea and phoning friends just six hours after giving birth. Unlike other Royals, she also gave birth at an NHS hospital.